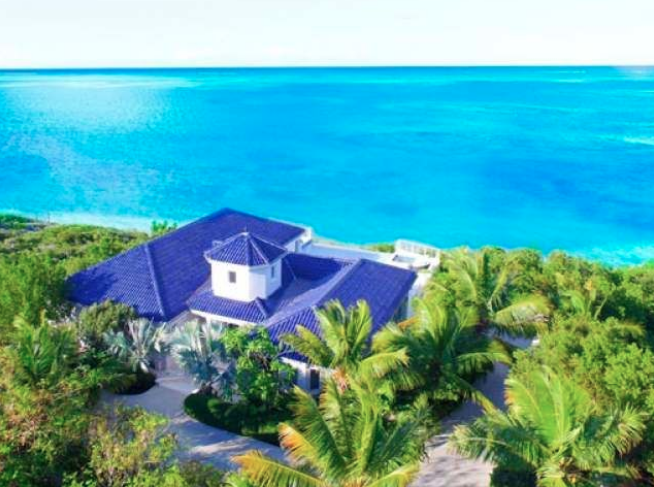 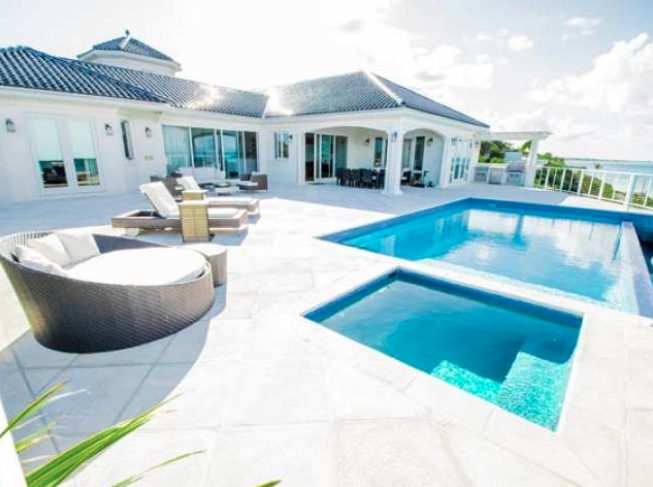 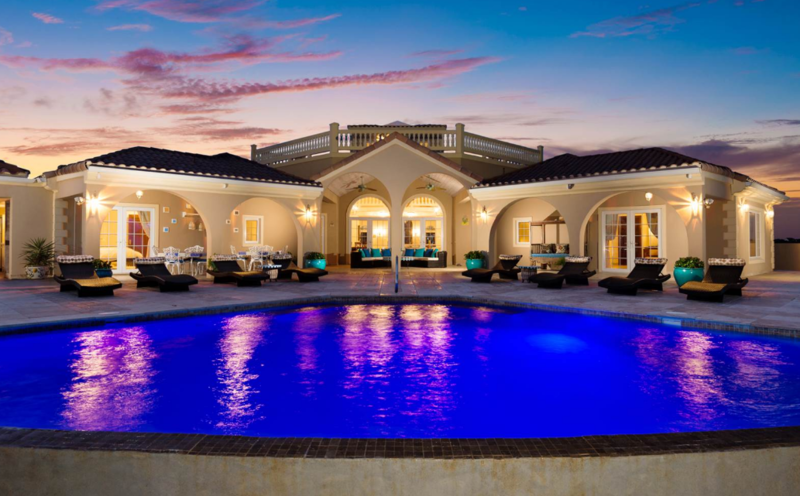 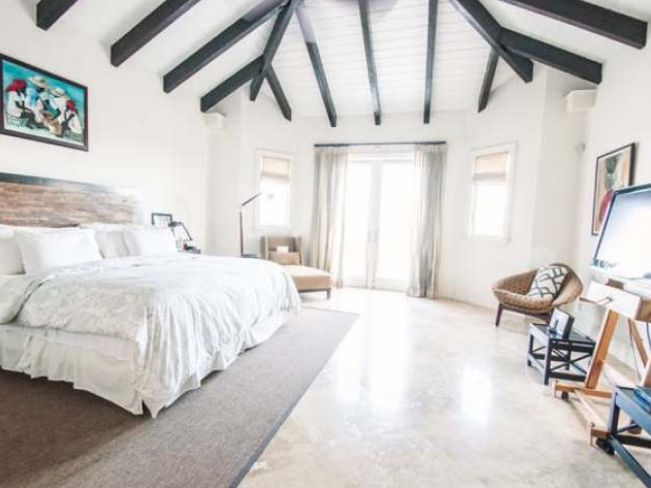 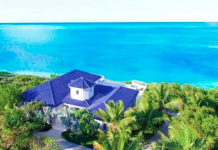 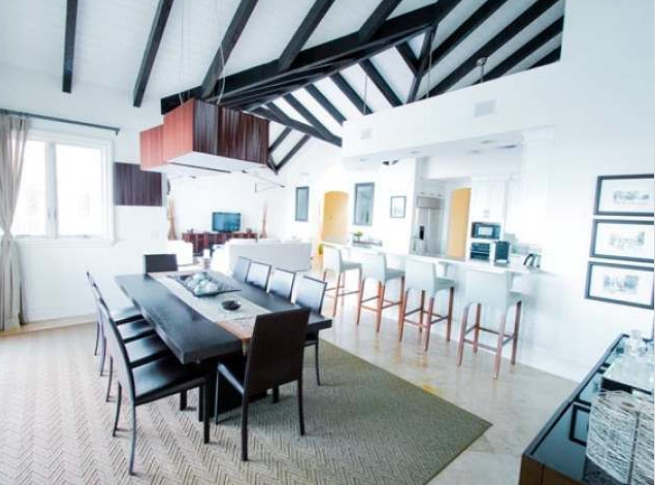 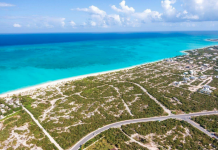 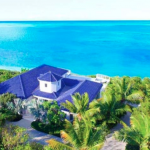 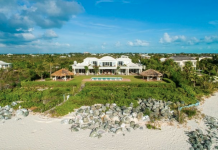 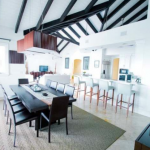 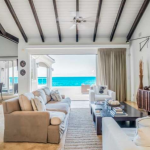 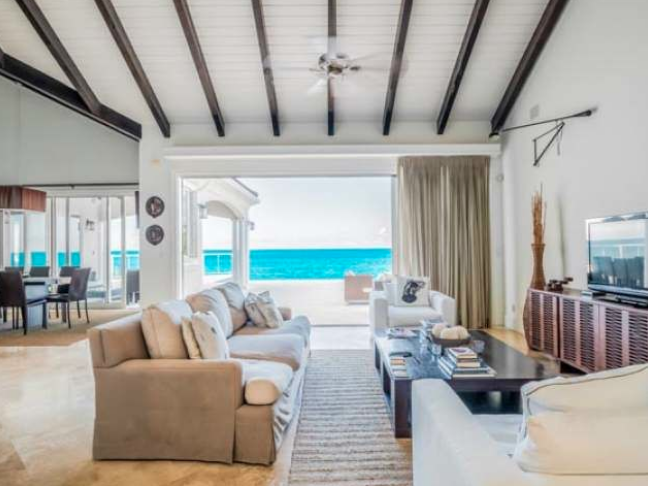 This spectacular oceanfront villa, named “Blue Mountain”, is located in Providenciales, Turks & Caicos. 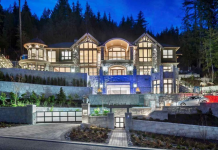 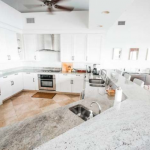 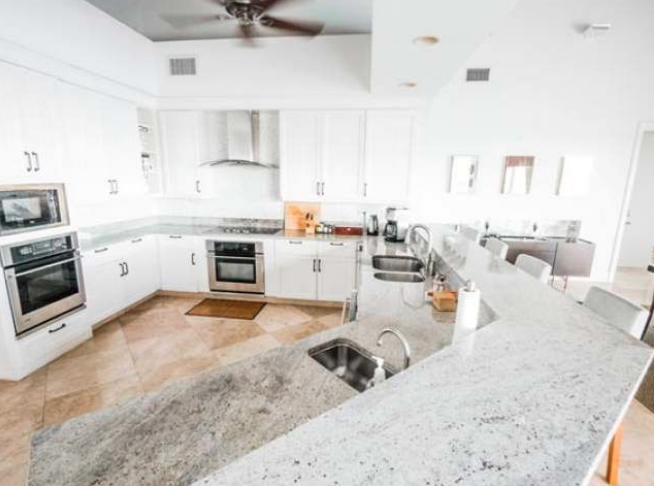 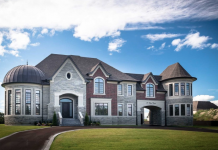 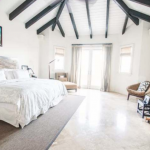 It features approximately 3,500 square feet of living space with 4 bedrooms, 4 full and 1 half bathrooms, living & dining rooms, gourmet kitchen, home office, gym, 2-car garage and more. 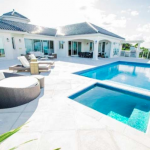 Outdoor features include a gated entrance, covered/uncovered patios, kitchen/BBQ and a pool with spa. 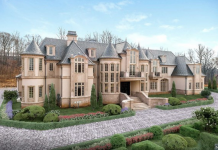 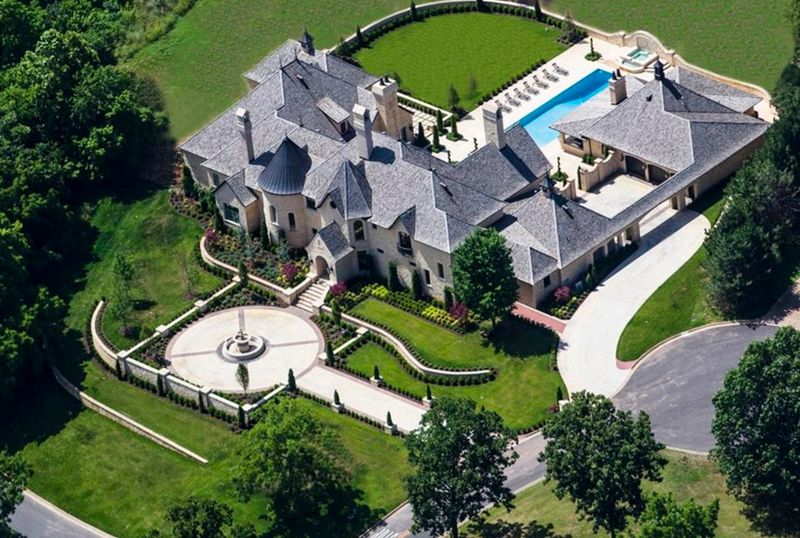 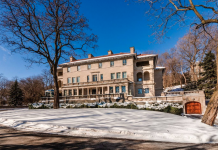 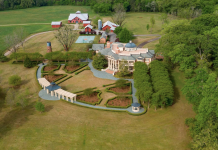 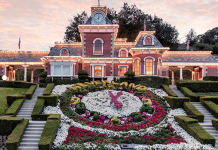 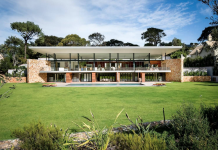 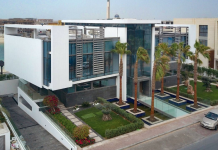 It is listed at $5,000,000.